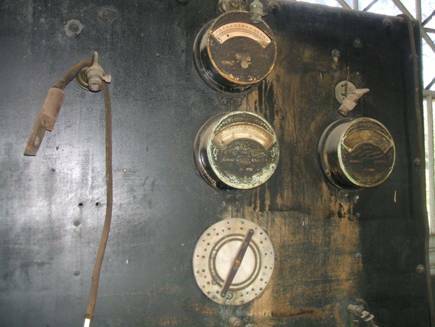 An historic treasure of Edison’s electric cars from the 1900-1914 period are awaiting restoration in the Edison garage. Check out this article, and suggested levels of giving below. Be a part of this restoration! 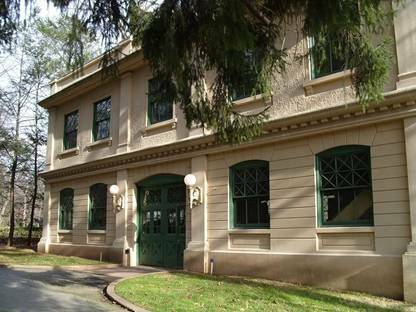 It was built in 1908, and to this day houses one of the earliest electric vehicle charging stations….testimony to Edison’s vision about the importance of electric vehicles and the ability to charge them at one’s residence. 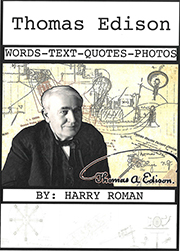 Energy savvy folks and writers opine today about electric vehicles being charged in one’s own garage, while Edison was doing it every day … four generations ago. 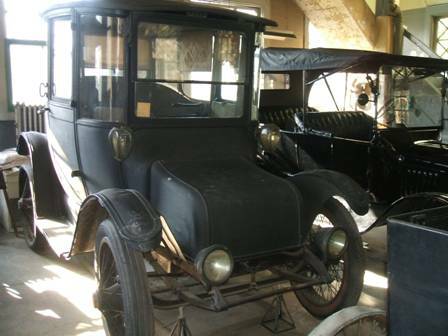 The Edison garage remains home to a variety of the great inventor’s personal cars as well as his wife’s vehicles. This stately structure is on the grounds of his historic home Glenmont. The Edison Innovation Foundation is busy developing plans to conserve this structure; and inaugurate a new education center for teachers and students on the second floor where visitors will learn about Mr. Edison, the Glenmont site, electric vehicles, practice STEM principles, do special design/invention challenges, and delve into the use and application of alternate energy technologies. The first floor of the structure can hold six vehicles. Special features of its construction include poured concrete walls, a vehicle turntable, a revolving overhead washing system with hose, a battery charging station and a gasoline pump. The second floor of the building once housed the Edison family live-in chauffer and his family. 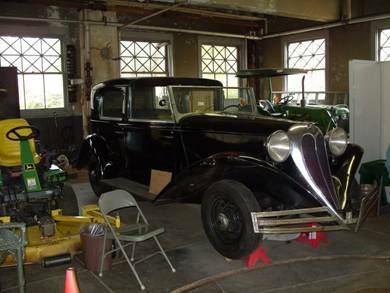 These cars will be conserved, as well as the interior of the garage itself which will be cleaned and re-painted. 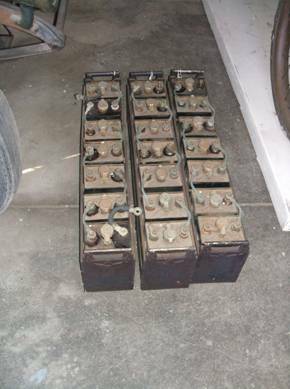 To show the immense advances in electric vehicles since Edison’s pioneering work, several new state-of-the-art electric vehicles will be obtained and displayed near the original vehicles; and have their own re-charging station. 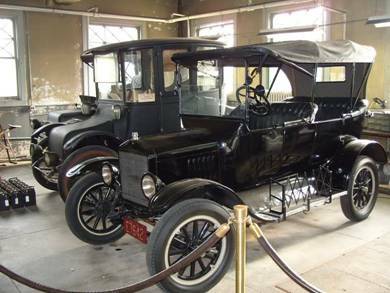 These vehicles will be used for transportation duties, visitor demonstrations, and educational purposes within the Thomas Edison National Historical Park [TENHP], which includes the Glenmont estate and garage. 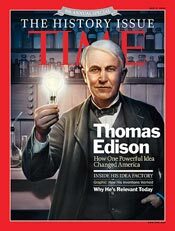 We thank you on behalf of the 70,000 visitors who come every year to see the home of the world’s greatest inventor. Recognition of gift on website. Photograph of Donor with any Edison electric vintage car. Recognition of gift on appropriate signage at the Edison Garage. 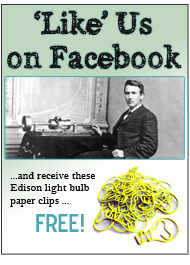 Photograph with any Edison electric vintage car. Photograph at Edison’s original desk in his Library. Your name/organization listed on www.edisonmuckers.org. Cocktail party for ten (10) people chosen by you at the Edison Garage on the Edison home lawn including tent. Drive and display your vintage car. 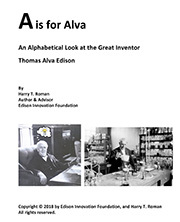 Naming recognition of the Edison Garage with appropriate signage. This entry was posted in Did You Know? and tagged edison innovation foundation, Edison Muckers, edisonmuckers.org, Glenmont, Help Restore the Edison Electric Cars, historical cars, historical funds raising, muckers, org, Thomas Alva Edison, thomas edison, thomas edison historical garage, thomas edison historical home, Thomas Edison Muckers, thomasedison, vintage automobiles, vintage cars, vintage electric cars on December 1, 2011 by Edison Innovation Foundation.